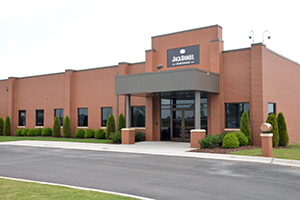 July 7, 2014 – Brown-Forman has started producing barrels for its flagship Jack Daniel’s Tennessee Whiskey at the company’s new cooperage in Trinity, Alabama. The $60 million dollar Jack Daniel Cooperage has been in the works for the past two years, and will create an estimated total of 200 new jobs when it reaches full production of around 700 barrels per day. Brown-Forman held a ceremony to officially open the cooperage today, with Alabama Governor Robert Bentley praising the project as a much-needed economic boost for the Northern Alabama town, which recently lost its largest employer when International Paper shut down its plant earlier this year and eliminated nearly 1,100 jobs. 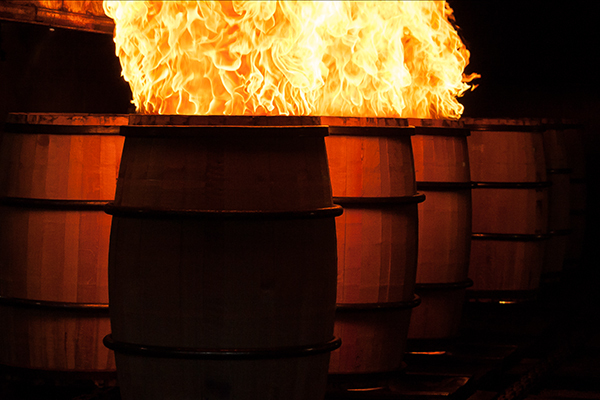 Brown-Forman’s existing cooperage in Louisville, Kentucky produces more than 2,000 barrels per day to supply the company’s distilleries in Tennessee and Kentucky with new barrels, but global whisky demand forced the company to invest in a second facility. “We want to be able to satisfy the world’s thirst for our premium Tennessee Whiskey, and having this state-of-the-art cooperage will help us meet that demand,” Jack Daniel’s managing director John Hayes said in a news release. “We couldn’t be happier with this new facility and the great welcome we’ve received from the people of Alabama.” Brown-Forman officials say the Alabama cooperage’s production will help supplement the supply of Louisville-built barrels being delivered to the distillery in Lynchburg, Tennessee, using wood from the company’s stave mills in Stevenson, Alabama and Clifton, Tennessee. According to AL.com, Brown-Forman received $63 million dollars in state and local economic development incentives to build the cooperage in Lawrence County. Editor’s note: This story was edited to include additional information on economic development incentives and the local job market, along with a photo of the new cooperage provided by Brown-Forman.